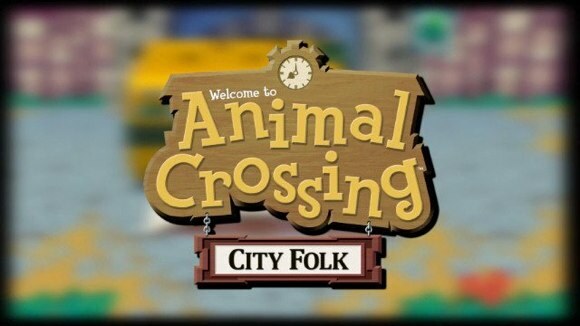 Welcome to the official discussion thread for Animal Crossing: City Folk on the Wii! To start, please add this game to your log, add it to your collection (if applicable), and (when you are ready) rate it using the link above! I've been enjoying this game lately as a means of introducing my wife to the AC series. I loved the GameCube version; it came at a perfect time in my life when I had moved out of my parents' place after college and had a place of my own (alone) for the first time (an amazing parallel to the 'story' in the game of having your own place and meeting new friends). It was very comforting, to say the least. I later went on to the DS version at one point, but the cart was lost/ stolen and I never got back into to it. So, regarding this Wii version: On the one hand, it's disappointing to see how little the game has evolved from the previous versions. I also visited the city; it seems cool but I think I'll enjoy the city more once I start making more cash. On the other hand, considering I haven't played an Animal Crossing game in years, it's been a lot of fun just 'playing' something so relaxing and having my own little world, especially now that I can share it with someone else. The Wii pointer really does make stuff a lot easier/ more fun, like drawing your own designs or typing on the keyboard. Our town (Suntown) is still quite young (we don't even have an axe yet to start cleaning up the some of the large clusters of non-fruit-bearing trees). Based on the database, quite a few of you own the game (25 or so); we would like to have you come visit us one day (and bring your fruit too! We only have oranges at the moment.). I still haven't upgraded my tiny, basic, house yet, but May did (ie she's been playing more than me). I started playing again back on New Year's Day. Nobody cared. Not sure exactly when I can get out, but I'm glad you're having a good time! Suntownnn! Oh yeah, you had it in your 2012 NW community thread. Of course, I didn't have the game back then! In any case, sorry to hear no one cared. Well, here's hoping this 'official thread' will make it easier to coordinate town visits and what not. Keep me posted on availability! This was the first game in the series that I played, so the complaints about it being similar didn't affect me. I always thought the series seemed boring, but then my friend got it and talked about how addicting it was. Shortly after, that friend had a leg operation and was out of work for 8 weeks, and so I bought this game so that we could play together to help pass the time. We had a lot of fun collecting everything and just plain hanging out to chat. I think this is the kind of game that you have to play to "get" it, and it also helps to have friends who are into the game as well. The Wii Speak was not a sufficient mic however, so I sold it whilst it was a hot item and we just talked over the phone. I have never played Animal Crossing. It's probably the only Nintendo franchise I've never touched. I've played the Gamecube version, the DS version, and City Folk. Yes, they are too similar, but still fun and relaxing. My wife and I have recently been playing City Folk again. What ever you do, DON'T RUN! I'll post my friend code later today when I get home from work. I played about an hour today, I was excited to see my upgraded house. I bought some furniture and purchased tile to make my house prettier. Been busy catching bugs and fish to save money so I can pay the house. Maybe it will take a long time to pay off the house since it's really expensive. I like the game so far because it's easy to jump in and out of the game. Actually, I wish you could do more, and not just searching for fossils, bugs, and fish to make money. It does become a bit of a job after a while. Doing your daily weed runs (walks), checking the store for hot deals, working on your points stuff, etc. But yeah, filling out your Fish and Bugs thing is the meat of the game, at least it was for me. Its cool though that you guys get to play together though..or don't you? No..you DO, right? I'm getting my games all mixed up. Where are your guys' houses? After my Wii went down and I lost everything, I returned with Doover (Do Over) and I now live on the beach. Aww yeah. Yes, I think so, it became more like a job. Eric told me there is more stuff I can do to earn more money like the stock market. Aside from fishing, which I really like, I also enjoy listening to K.K. on Saturdays. To answer your question, yes, we're both playing together. However, I play more than him, because he's also playing Dragon Quest V. Anyhow, my house is also located near the beach. How refreshing! I added my Friend Code to the OP! Everyone, feel free to post yours. I think this is the kind of game that you have to play to "get" it, and it also helps to have friends who are into the game as well. Any interest in giving it a try one day? Adding to what Snorlax said, we play together, in a sense; the game does not support local simultaneous gameplay (you got your games mixed up??). So sometimes one of us is playing and the other is watching, or we'll play separately at different times of the day, depending on who's home and who's at work and what not. Oh, and my house is up on a hill, and we're both on the west side of town. Sweeet. No, I couldn't remember if you were allowed to have two people in the same town, or if you both needed your own town. Oh yeah, all people who are playing on the same Wii each have their own house (up to four) in the same town, but they can't play at the same time. This game was a disappointment to me, but only because I'd just been on a huge Wild World tear. Had I not played it, I think I would have enjoyed it a lot more (save for the grass dying...hope that's been removed in the 3DS version). Bumping this thread just to see if anyone would like to meet up in our towns, especially if they have fruits other than oranges! See OP for friend code. This game was a disappointment to me, but only because I'd just been on a huge Wild World tear. What a surprise! Today I tried going to the stylist Harriet for the first time in the city. She asked me a lot of questions about what kind of hair style I want. I was totally surprised what the outcome was because now I am blonde! Before I was dark hair, which is my preference. I wanted to restart the game so I can change my hair style, but I think it's not possible. Well, Resetti will be very mad, I guess! And then tonight, I encouraged Eric to change his hairstyle as well, and he did. I was laughing with tears at the outcome: he chose a 'grown-up', 'attractive', hairstyle when answering Harriet's questions, so guess what he got: now he has an Elvis hairstyle that is neon green in color. He even posted a public message on the bulletin board, and the funny thing is his hair matches his bamboo flooring! Oh! In case people forgot, today is Columbus Day (well, it's Explorer Day in AC), so get your sailboat model while you still can! As soon as I get my TV and Wii back in the same room together and hooked up (hopefully by this weekend), I'd certainly like to visit your town and have you visit mine. If there are any items you are needing/wanting, just let me know and I'll see if I have them available to order. Hope to see your AC self soon! @Snorlax Yeah, the stylist stuff is funny in that the results are a bit... unpredictable. Good to see you! And thanks for the offer, I look forward to seeing you in AC as well! But blondes have more fun! All right, I figured out a decent solution. I created a new character, which gives me a new friend code and lets me connect online. I'll have to buy the big house again, but I still have my town and all my stuff, so it's a small price to pay. So, that means I'm able to play! I have all the fruits, and plenty of em, so I can bring as many as you'd like. I've got a pretty big shop catalogue as well, so I may be able to help out if there are some items you'd like. Don't be shy to ask, I like to share.